I came across this nifty gadget at a favorite site of mine, uncommongoods.com. The Drop Stop Tea Strainer, $16, a design that is very a la mode. Amazing how one small change can elevate such a simple device. Not less fancy, but more functional. 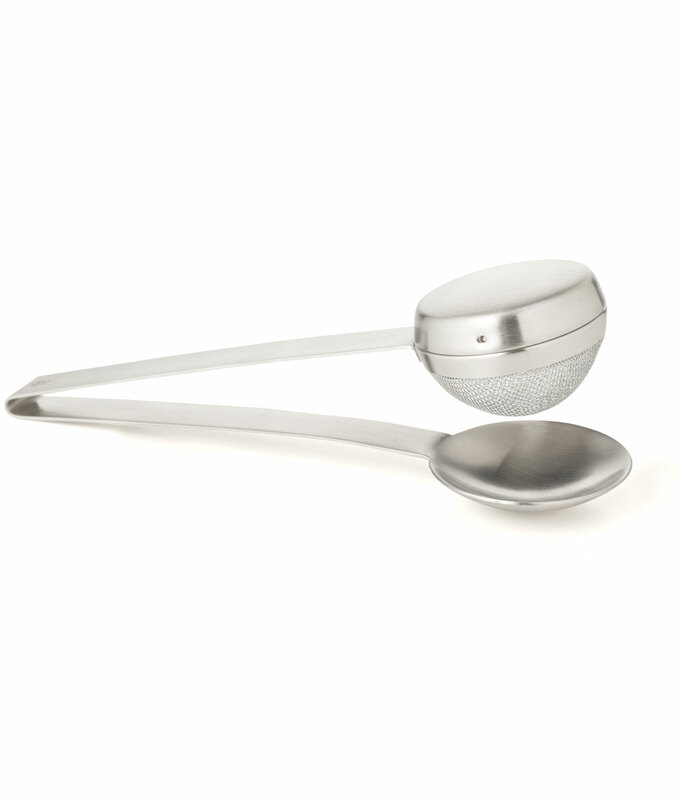 The sleek stainless steel tea straining device has a spoon attached to catch the drips. What a brilliant, self-contained all-in-one solution. Sure, I love the dainty strainers with their accompanying vessels but I don’t need to stand on ceremony every time I make a cuppa. And I am not a fan of those little tea pot shaped dishes that are designed to hold your used tea bag.